Fly Fishing at Pyramid Lake is very unique compared to other Stillwater fisheries. The lake is 15 miles long and 11 miles wide. For the most part it offers no weed beds or creek channels with warm or cold water springs. Only in a few places around the lake is the bottom anything but sand and sandy beaches. 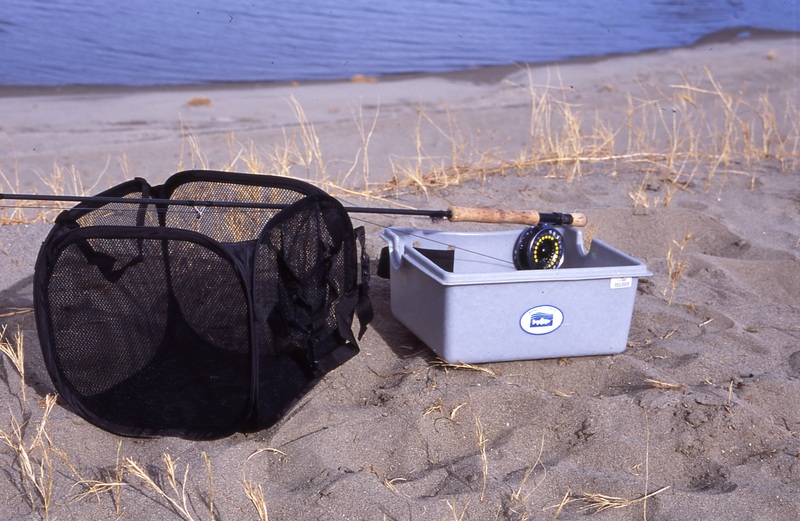 The techniques that have evolved over the years have depicted a very defined tackle box for fishing Pyramid Lake. year expecting to use their 5 or 6 weight rod and find out that they can be over-powered by the weight of the fly line and the winds that can be very strong from time to time. Anglers make the assumption that they are good at fighting fish and a 5 weight is fine. It is the situation that calls for a heavier rod, not the size of the fish so much. Nymphing has become very popular at the lake as well, especially in the spring. Shorter casts and lighter lines can be used and a lighter rod will do the trick. Anglers use anything from a 5 weight to an 8 weight for this technique. Wind is still a factor and a 6 – 8 weight is probably the way to go for best results. A little bigger rod helps with mending line and roll-casting when it really gets windy. Switch rods have also become popular to help with casting in windy conditions. 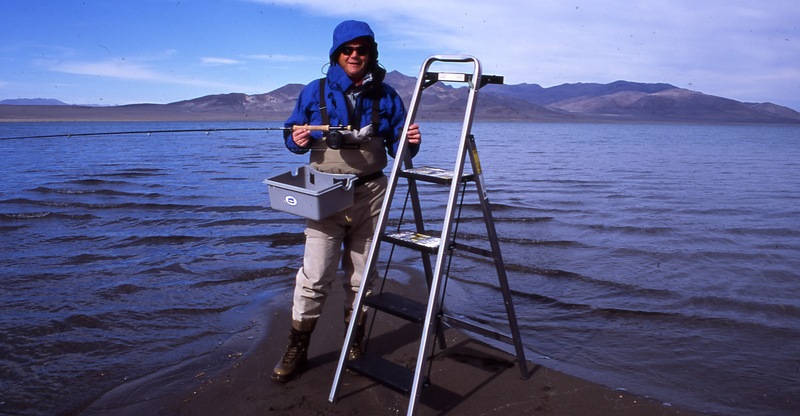 Shooting Heads – Long casts and covering lots of water is a great way to catch fish at Pyramid Lake. The idea behind a shooting head is to have more weight in the front end of the line for longer casts. Most shooting heads have a 20 to 35 ft “head” and some sort of a thinner diameter running line to help with distance. The most common shooting head for Pyramid Lake is one with a very fast sinking head to get the flies to the bottom as fast as possible. Running lines come in many varieties. The most common are either floating or ones with intermediate sink rates. Because most of the time you will be standing in the lake, a floating running line is easier to use. If your running line sinks you will most likely need to incorporate a stripping basket. Full sinking lines can be used but they are much harder to cast and do not keep flies on the bottom as well as a shooting head. You will most likely not do as well at Pyramid if you settle for a full sink line. Floating Lines – Used mainly for nymphing. Most anglers use a floating line and an indicator with a couple of bead head nymphs for this application. Any floating line will do. A line with an indicator tip can help you see when to mend and if your leader is straight. There are some neat floating shooting heads that can really add some distance to your casts as well. The only important part about a fly reel for Pyramid is that it should be one that can handle salt. Pyramid has a pretty high alkilinity level and can break down a cheap reel made with plastic parts. It can even inhibit the drag system. You do not need anything special other than that. For those of you who have never fished Pyramid Lake before, this section is going to sound kinda odd. 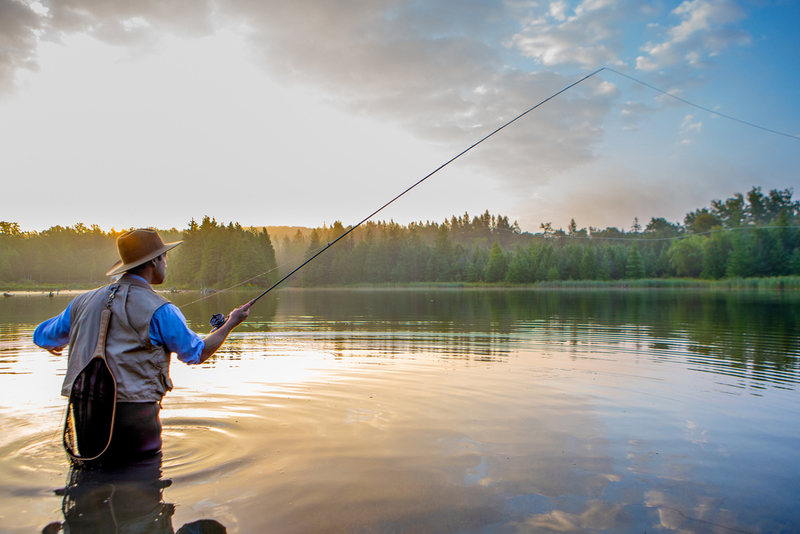 Most anglers that are fishing around the shore are wading out into waist-deep water to get near a shelf or drop-off. The water is usually very cold due to the season. So standing on something gets you out of the cold water. It started with milk crates and has evolved to every thing from a 6 foot step ladder, 3 or 4 step kitchen ladders and even homemade structures with chairs on them. 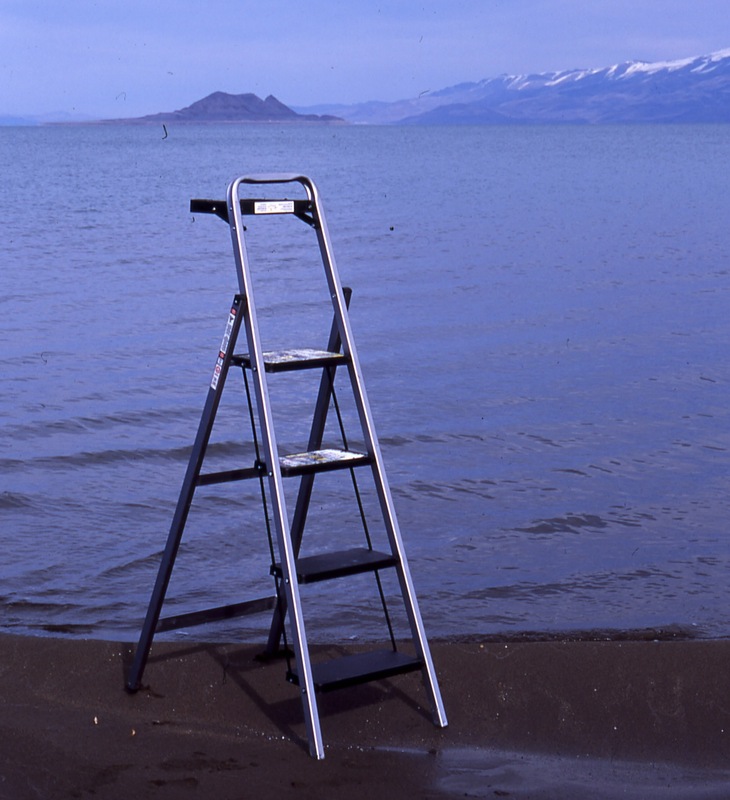 There are a few other reasons that ladders are popular including fishing in wavy conditions, sight fishing and making it easier to cast. Most anglers tie a floatation device to their ladder to help locate it if it falls over. Over the years certain patterns have proven themselves time and time again. Certain patterns developed exclusively for Pyramid Lake are now being used to catch fish all over the world. The most popular flies used for shooting head or sinking line set-ups are Wooly Buggers and Wooly Worms, Foam Beatles and Tadpoles in a variety of colors and sizes. The most commonly used flies for nymphing are Chironimid and Calibaetis imitations. These flies are tied with bead heads to help them sink faster and stay vertical under an indicator. Balanced Leeches and Balanced Minnows have also become popular at Pyramid. All of the most popular flies can be viewed or purchased on our online store page. Stripping baskets can be helpful for a variety of reasons. Anglers that are using a shooting head with a sinking running line use them to keep their running line from sinking to the bottom. This makes it very difficult to make your next cast. Another good reason is for line control on windy days or days when there is a lot of current. Anything from a Rubbermaid-type tub bungeed on your ladder to a high-tech basket that will strap around your waist will do. Most anglers that fish stillwaters have some kind of device to float in. You will find some anglers in a tube or pontoon boat at Pyramid but no where near as many as anglers fishing from a ladder. It is ok to fish from a tube or pontoon boat but not usually neccasary. Pontoon boats are a better choice because you can anchor more effectively, you can use oars or an electric motor to get around and back to shore. By all means if you prefer fishing this way bring it along but be careful of the wind. *Make sure to read the regulations regarding fishing out of a floating vessel. A boating permit may apply depending on size and means of motion. There are also rules about how close you can fish to shore anglers (250 feet). 1. Sometimes the fish seem to stage out in a littler deeper water. When this happens it can be nice to get a little farther out. 2. When fishing a crowded area sometimes there is not room for another ladder. 3. Occasionally the 1st shelf or ledge cannot be reached by wading due to the rise and fall of the water levels during run-off. 1. Pyramid is a big lake. It can get very windy and there have been stories of anglers getting blown across the lake on a windy day. 2. Wind and current make it hard to stay in one place while retrieving your flies. This makes it hard to keep your flies on the bottom or hanging vertical while indicator fishing. 3. It is way harder to land a big Cutthroat from a tube or pontoon boat.